CLICK HERE for outstanding wetland ecosystems units from Ducks Unlimited for Grades 4 – 6, grades 7 – 8, and grades 9 – 12. CLICK HERE for lesson plans about wetland ecology. CLICK HERE for lesson plans about migration. 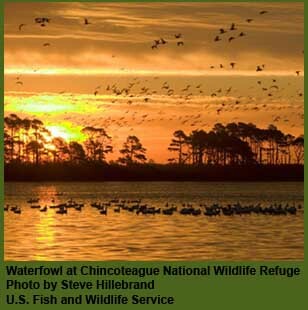 CLICK HERE for information about wetlands. CLICK HERE for information about getting involved. CLICK HERE for links about wetlands. CLICK HERE for videos about wetlands.